*Material: 100% CottonWe're lucky to live in a world where a lot of things are awesome. Baby sloths, rocket pops, stuffed crust pizza, a blizzard on the day of your history test... just to name a few. You know what else is awesome? Ninjas. Ninjas are awesome. Teenage mutant ninjas, even awesomer. Teenage Mutant Ninja Turtles - the awesome scale doesn't even go that high. Also awesome? 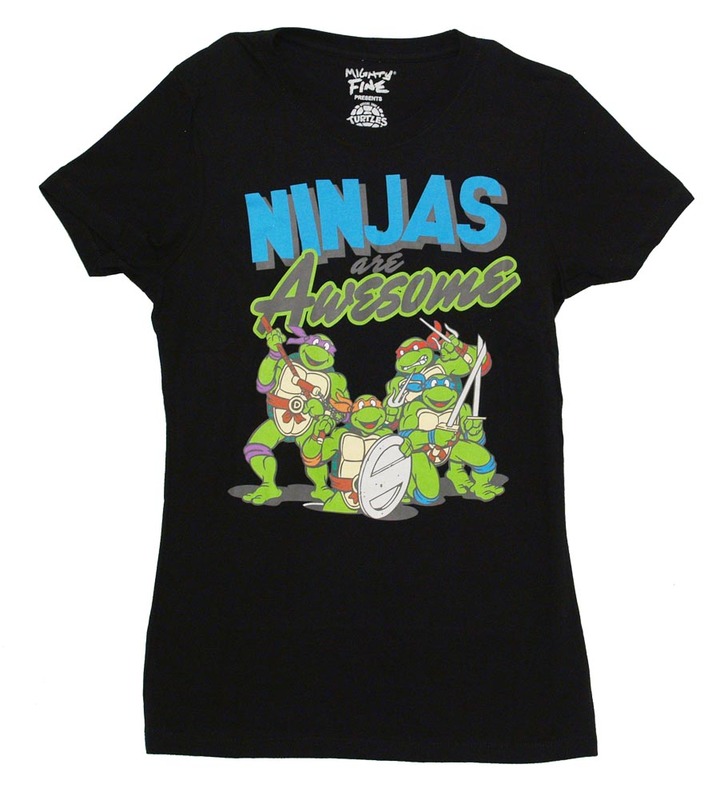 This juniors t-shirt featuring the coolest ninjas around - Don, Mike, Raph, and Leo. Get it and add one more awesome thing to your life! 100% cotton juniors-sized tee, designed for teen girls and slim women.